Welcome back to the Swimsuit Sew-Along! This week I got my patterns and fabric. Kwik Sew 3153 – Swimsuit with a shelf-bra lining with elastic, opening in back with a hook closure. It’s always a good idea to do a muslin first…. Finished suit: Red Matte Milliskin, Poly Spandex from Spandex House The muslin turned out great! A second go-around is not needed. McCall’s 3566 – Two-piece swimsuit: I will use the tankini and boy shorts pattern…and I just realized there are separate pieces for A, B and C cups. Score! Fabric: Blue Matte Milliskin, Poly Spandex from Spandex House The fabric arrived and I hate the color….still looking for a replacement. Next time I will order a swatch first! 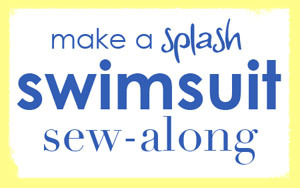 Swimsuit Sewing Resources – I will keep adding to this. Singer Sewing with Knits – a little outdated (1992) but still has some good info. and is $4 on Amazon. Looking good Stephanie! I really like that Kwik Sew pattern. I may have to order it. I thought I would just use the KS book and draft my own pattern but why reinvent the wheel? I have a free BurdaStyle suit that I like the front of but want to change that back to like this KS. I may never get started because I keep changing my mind! I totally love this Kwik Sew pattern. I was so worried that it wouldn't fit, but so far the pattern is right on the money as far as measurements go. I was thinking of drafting my own pattern, too, but I think the extra money spent on this Kwik Sew pattern was worth it. Hi it's Nicole of The Girl Charlee Team. 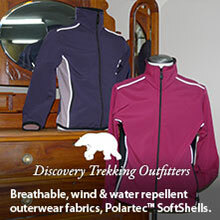 Thanks for the mention and the link back! !